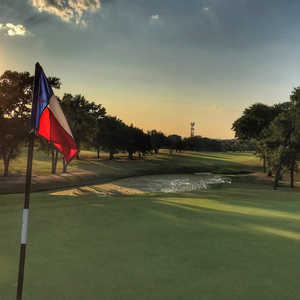 AUSTIN, Texas -- Texas golf resorts are big-time: San Antonio's Westin La Cantera resort and the JW Marriott Hill Country Resort both have PGA Tour pedigrees. Meanwhile, in the hills west of Austin is Barton Creek Resort, home to a pair of Top 100 designs by Tom Fazio. Lake Travis has activities for all seasons, including boating tours from Lakeway Resort and Spa. So it's understandable why golfers may not consider Lakeway Resort and Spa at first. But in fact, the resort holds its own among the top golf resorts in the state with its own distinct amenities, including access to three private golf courses. Lakeway Resort and Spa features 168 rooms, including a handful of multi-bedroom cottage units overlooking the lake. It's a small-scale alternative (for Texas, at least) compared to the stark contrast to the 1,000-room JW Marriott and TPC San Antonio facility an hour's drive south -- or even nearby Horseshoe Bay Resort and Barton Creek Resort. Taking on its own distinct ambiance, Lakeway invites a cozy, more club-like vibe where guests feel they have the run of the joint. Lakeway's location boasts something that is unique to itself, though: a one-of-a-kind setting perched on the banks of Lake Travis in the Texas Hill Country just west of Austin. One of the reasons Austin is known for being such a livable city is this very oasis located just a few miles west of town. On summer weekends, boats fill the largest of the seven Texas Highland Lakes with wake boarders, sailboats, party cruises and jet skis. While the summertime is the high season on Lake Travis, the main event at Lakeway all 12 months is the San Saba Spa, which features a full menu of massage and beauty treatments, plus a recently enhanced fitness center open to all guests of the resort. Upgrading the fitness center was one of the many new initiatives set forth by the resort's new management company. In 2010, the resort appointed Houston-based Redstone, which operates the PGA Tour host facility as well as the Houstonian, one of the city's premier hotel-and-club properties. Lakeway is the company's first venture for Redstone outside of Houston, and with it they've rededicated themselves to promoting the golf product by offering a variety of golf packages. Whether guests book a package or request a last-minute tee time through the concierge, golf can be had. The city of Lakeway began in 1962 with the construction of the Lakeway Inn, which would later grow and become the Lakeway Resort and Spa. Now with more than 10,000 residents, some often come by the resort to use the pool area overlooking the lake or dine at the restaurant, Josey's, which features Hill Country staples such as Southwestern soup, quesadillas or a delicious cut of filet mignon. "Farm to Table Wednesdays," for example, features a weekly set menu by Chef Jeff Axline and features ingredients from some of the area's many food producers. So to some, the golf at Lakeway plays second fiddle to Lake Travis or the Spa, but it's still as abundant as anywhere else in the Hill Country. 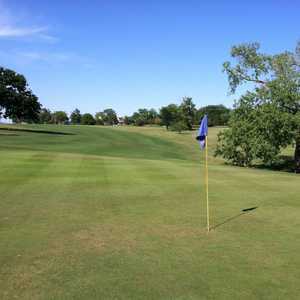 While just a small city, Lakeway has a serious golf habit, that includes Hills of Lakeway Country Club, one of Austin's top private clubs that features four golf courses. But nearby, guests can take on Flintrock Falls, a collaboration between Jack Nicklaus and his son, Jack Nicklaus II. The course features a championship-caliber design more than 7,000 yards long with Hill Country staples such as waterfalls trickling down limestone rock and plenty of up and downs to navigate. Nearby, one of the Austin area's top daily-fee courses is Falconhead Golf Club, on which the resort also receives preferred tee times. Falconhead opened in 2003 with great fanfare, deigned by PGA Tour Design Center. All great Hill Country golf courses features at least one remarkable par 3, and at Falconhead, it's the 17th that lies atop a limestone shelf hovering over water. Also within minutes of the resort are two of the Hill Country's more classic golf courses, Live Oak and Yaupon. Live Oak opened in 1965 and was the first of the Lakeway golf courses, while the Yaupon Course came along in the 1970s. Each present a shorter, charming and walkable alternative to the showier, more demanding FlintRock Falls and Falconhead. 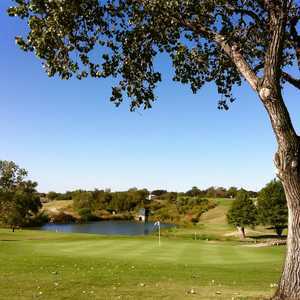 Within minutes of Lakeway Resort & Spa, golfers can choose exactly which type of golf club they want to enjoy. So it matters little these golf courses aren't official "resort" courses. For those looking for championship design with a country club setting and resort amenities, Lakeway is as much of a destination as anywhere in the Hill Country.